Web push notifications are brief messages that appear on your desktop, tablet or smart phone. It is the best and most recent digital marketing channel that can be used at any kind of industries such as e-commerce, retail, media, travel, financial services or entertainment. You can send push notifications to your subscribers even when they are NOT on your website. This super effective capability is available thanks to browsers enabling web push notifications. The only requirement to be able to send push notifications to your web visitors is that they subscribe for your web push notifications. In order to do that, they should visit your website at least once on Google Chrome, Mozilla Firefox, Safari or Opera (soon Microsoft Edge as well) browsers and click ‘’allow’’ when you ask them for the permission of sending notifications. They don’t have to download a mobile app to receive notifications. They don’t have to allocate any of their precious storage of their devices. Opting-in requires just one click and also they can opt-out at any time they would like. Why you should use push notifications instead of SMS or E-mail? E-mail is the most used marketing channel, that’s inevitable. However, its effectivity lessened over time, because e-mails tend to get lost within the inbox of your customers or e-mails end up in the folders that we never check. That’s why open rate and click through rates (CTR) of e-mails are quite low. On the other hand, SMS text messages on mobiles could have been effective if you are able to get the mobile number of your users and the permission to communicate with SMS channel. However, nowadays nobody gives permission to receive SMS. So this brings us to Frizbit. 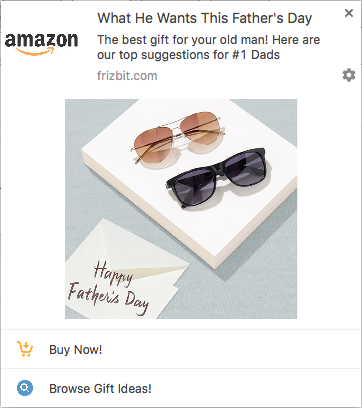 Frizbit allows you to send highly targeted and personalized messages, directly to the screens of your users. Your users would receive these messages whenever they are online, even when they are not on your website. Because of this simple fact, Frizbit’s CTRs (click through rates) are 8 times higher than retargeting ads and 4 times higher than e-mail. What are the differences between web push notifications and app push notifications? App push notifications are messages that can only be sent if the visitor has downloaded the mobile company’s app. They can use a device’s full potential such as camera, contact list, gps etc. They are only for mobile and tablets while web push notifications are for mobile, tablet, laptop and desktop. What are the differences between web push notifications and web notifications? Even though web notifications can be used on both ssl and non ssl websites, to receive web notifications users should be on the website. iOS devices don’t support web push notifications while it works for MacOS, Microsoft, Android properly. What are the advantages of using web push notification? 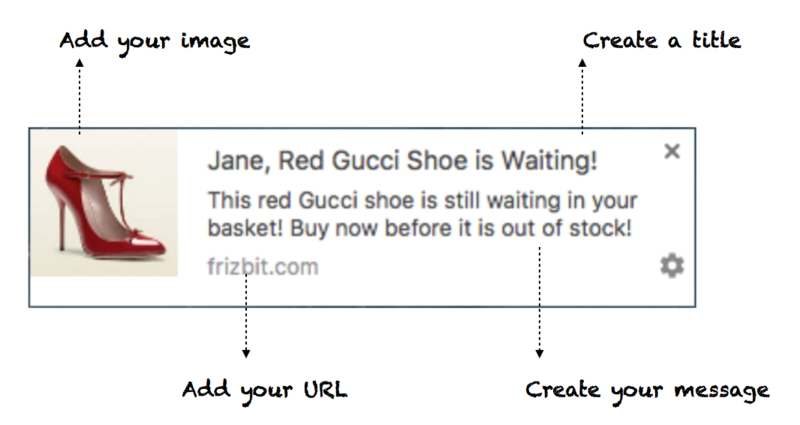 Unlike e-mails, visitors will definitely see your opt-in box. Visitors don’t need to sign up to anywhere. They don’t need to download an app. After they opt- in, you can send notifications even when they are not on your website. It is less costly compared to SMS. Also they won’t need to give their numbers. How to use web push notifications? Using push notifications are easier than ever now! Where can you use push notifications? You can send notifications to them when you have a new post on your blog. If you are using a website to share ideas for work, give employees tasks and set dates for them, you can use push notifications to remind them about their upcoming meetings or to remind them the due date of their task. If you are using a website for school, you can use push notifications to notify them about the new homework or about their projects due date. You can send push notifications about the sales for the products they were looking at orremind them about the products they put in their cart but didnt buy. If you have a news website, you can send push notifications about today’s breaking news. If you have a weather forecast website, you can warn them about bad weather. If you are a personal trainer, you can send motivational messages via push notifications and remind them about their daily exercise time. If you are a dietician, you can remind them about their meal time or give suggestions on what to eat that day. 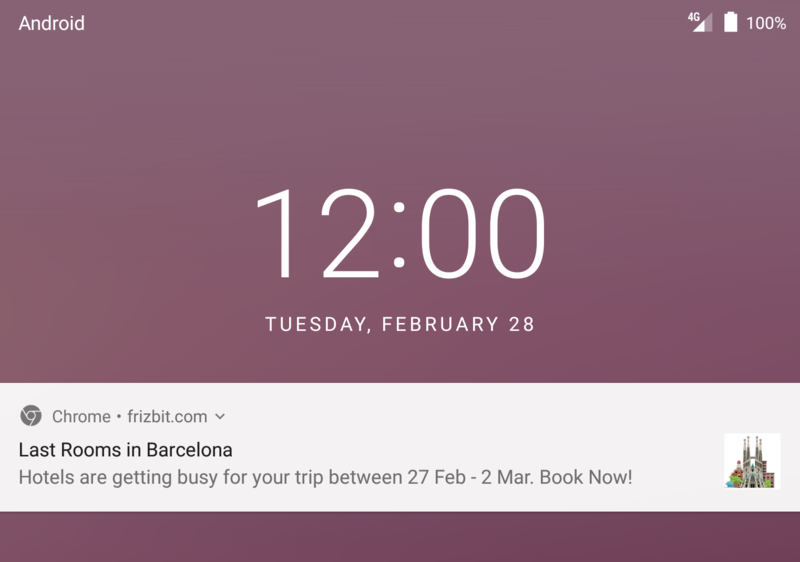 You can remind them about their upcoming flight or if there is a change with the gates or suggest cheap flights for the place they were looking at using push notifications. For travel websites, you can suggest cheap hotels for the city they wanted to go or send notifications about where to visit when they are already gone. No need to use an app! Your subscribers can receive Chrome push notifications to their Android devices without using an app. Send Chrome push notifications even when they leave your website. Your visitors will have that Native Opt-in Box when they start browsing your website. They will have three options: ‘’Allow’’, ‘’Block’’, ‘’x’’. If they click allow, they opt-in push notifications. If they click ‘’Block”, you won’t be able to send them push notifications. If they click the ‘’x” button, you will be able to ask them again later. After they opt-in, you are ready to send push notifications! Schedule your Chrome push notifications. Send them notifications on specific days or within specific time periods. Check your metrics on Frizbit dashboard and see the uplift on your visit metrics. Find out where they click on your website, websites they browse and their user behavior after they opt-in for push notifications and categorize them according to it. You can segment a person who reads sports news online as a sports reader, a person who searches for handbags as a handbag lover and send different notifications to them. Make people feel special. After categorizing your subscribers, optimize the Chrome push notifications according to their interest. When people log in, you can send the notification using their name, with the sentence they would be interested in. This is a pop-up that you can send your visitors before the Native Opt-in Box where you can explain why they should allow push notifications.